Nathanael Emmons, American theologian, was born at East Haddam, Connecticut. He graduated at Yale in 1767, studied theology under the Rev. John Smalley (1734�1820) at Berlin, Connecticut, and was licensed to preach in 1769. After preaching four years in New York and New Hampshire, he became, in April 1773, pastor of the Second church at Franklin (until 1778 a part of Wrentham, Massachusetts), of which he remained in charge until May 1827, when failing health compelled his relinquishment of active ministerial cares. He lived, however, for many years thereafter, dying of old age at Franklin on the 23rd of September 1840. It was as a theologian that Dr Emmons was best known, and for half a century probably no clergyman in New England exerted so wide an influence. He developed an original system of divinity, somewhat on the structural plan of that of Samuel Hopkins, and, in Emmons's own belief, contained in and evolved from Hopkinsianism. While by no means abandoning the tenets of the old Calvinistic faith, he came to be looked upon as the chief representative of what was then known as the new school of theologians. His system declared that holiness and sin are free voluntary exercises; that men act freely under the divine agency; that the slightest transgression deserves eternal punishment; that it is through God's mere grace that the penitent believer is pardoned and justified; that, in spite of total depravity, sinners ought to repent; and that regeneration is active, not passive, with the believer. Emmonsism was spread and perpetuated by more than a hundred clergymen, whom he personally trained. Politically, he was an ardent patriot during the American War of Independence, and a strong Federalist afterwards, several of his political discourses attracting wide attention. 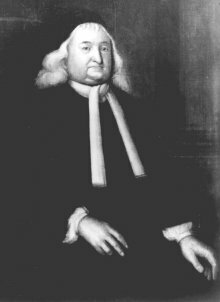 He was a founder and the first president of the Massachusetts Missionary Society, and was influential in the establishment of Andover Theological Seminary. More than two hundred of his sermons and addresses were published during his lifetime. His Works were published in 6 vols. It is a very serious duty, perhaps of all duties the most serious, to look into one's own character and conduct, and accurately read one's own heart.